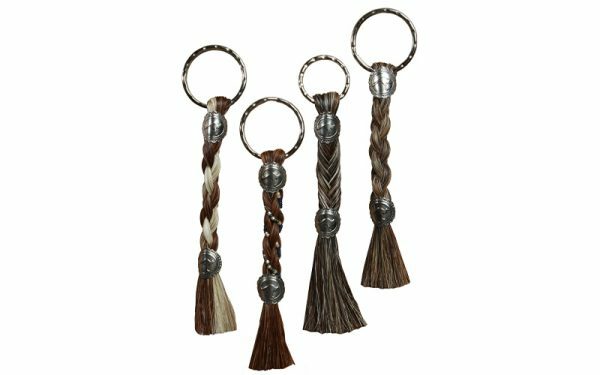 Cowboy Collectible key chains are handcrafted by artists from genuine horse hair and are available in a variety of styles and colors. This four-strand square braid is accented with interwoven beads and sunburst metal conchos with the roo logo. Like horses, no two pieces are identical!